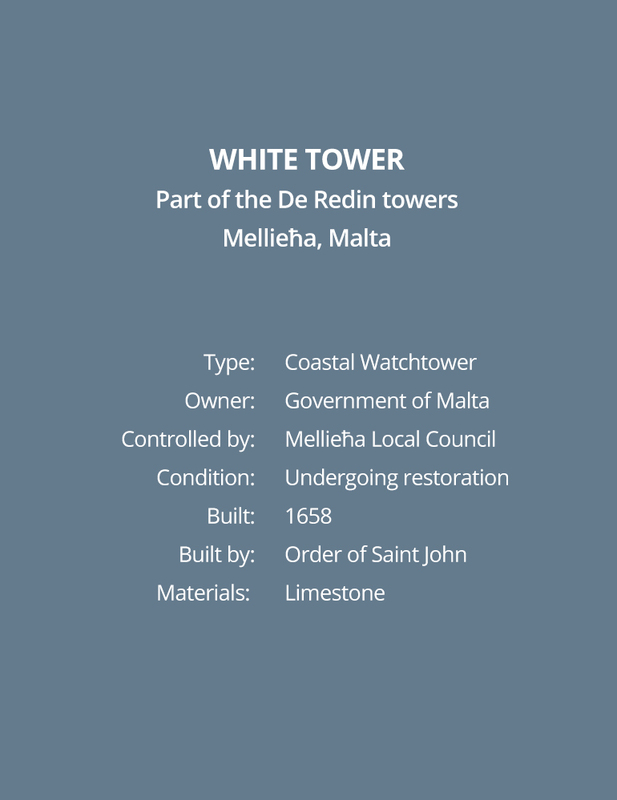 The White Tower (Maltese: Torri l-Abjad), is a small watchtower overlooking Armier Bay in the limits of Mellieħa, Malta. 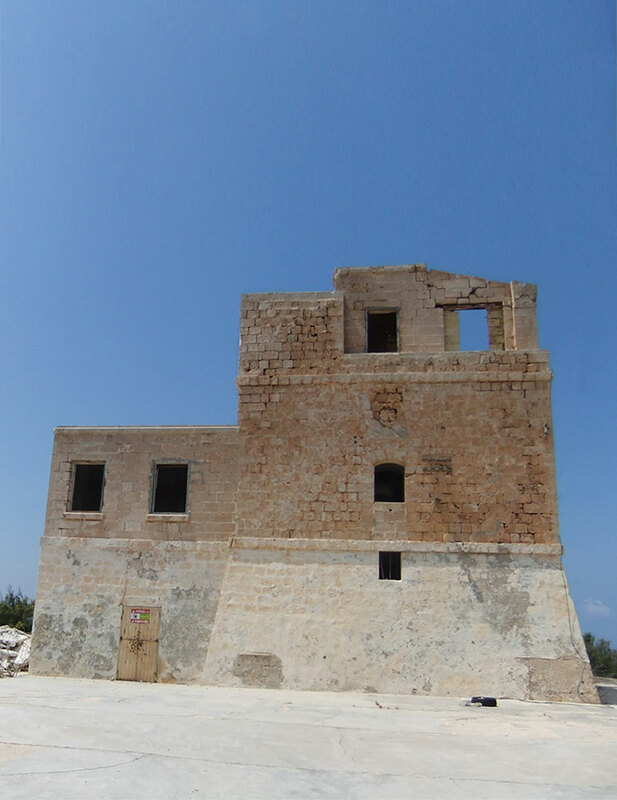 It was built in 1658 as the sixth of the De Redin towers. 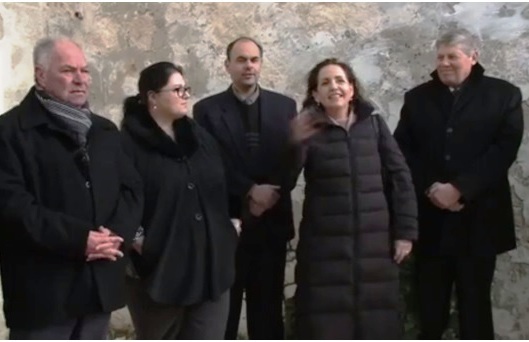 Mellieha Local Council announced during a press conference that it had reached an agreement with Din l-Art Helwa for the restoration and guardianship of the White Tower, located at Armier limits of Mellieha.